This toy spear is a faux weapon with lots of details that make it stand out from all the other spears you've ever seen! The tip of the spear looks like it is made of stone, but it's actually a friendly material that won't hurt anyone at all. 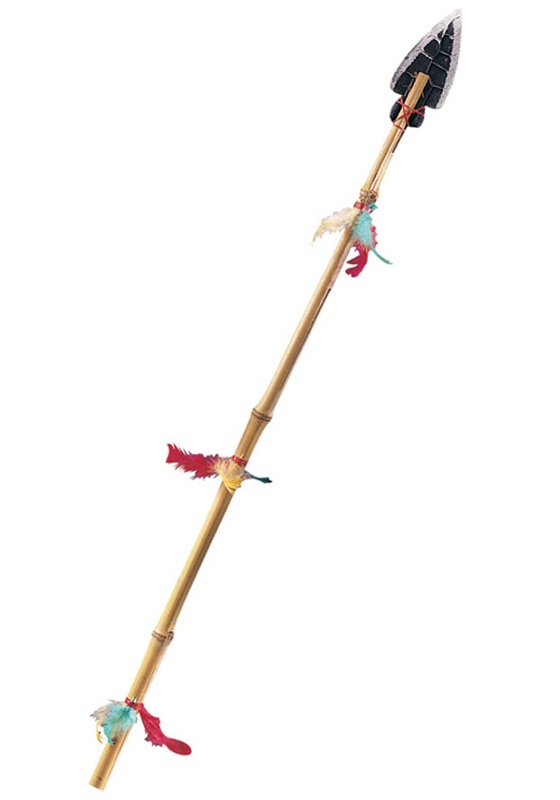 The real stick has colorful feathers attached to make it look decorated and particularly rustic. Pair this ancient looking weapon with many different looks this year.